Orig LOU COSTELLO Leggy, Statuesque Blonde JOAN FULTON Candid on-set.. SUPERB! 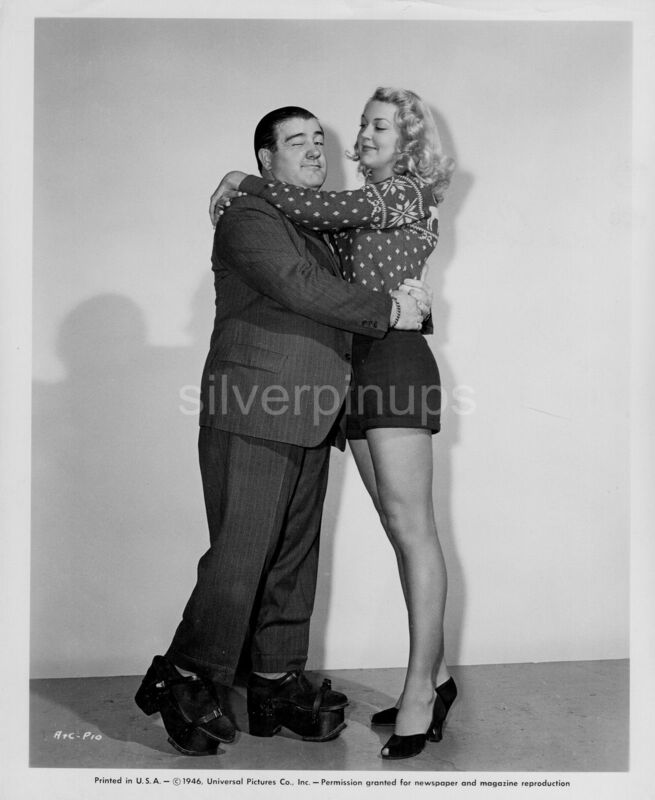 This is a beautiful original 8 x 10 inch Candid on-set publicity photo of LOU COSTELLO in a lovely comedic moment, wearing a “Frankenstein” type shoe lift as he poses with the very statuesque and leggy blonde, JOAN FULTON aka JOAN SHAWLEE. Lou’s height was only 5′ 5″ compared to Joan’s statuesque 5′ 9″. Although she didn’t appear in this film, Joan was visiting her mentor, Lou Costello while he was on a break from filming Universal Pictures 1946 production, “LITTLE GIANT”. Lou Costello discovered her singing at the famous Copacabana and asked her to join him in Hollywood. With Costello’s influence, Joan Shawlee was signed to a contract with Universal Pictures under the name Joan Fulton. The photo is in VERY FINE to EXCELLENT condition with minor creasing along the top border. Delightful Duo! I do combine shipping on multiple items. Shipping in Canada and the USA is 12.00. (I take my packaging and shipping very seriously, see my feedback) I will also ship Internationally, Tracked Packet-International for 40.00. Payment is due within 7 days of auction ending.